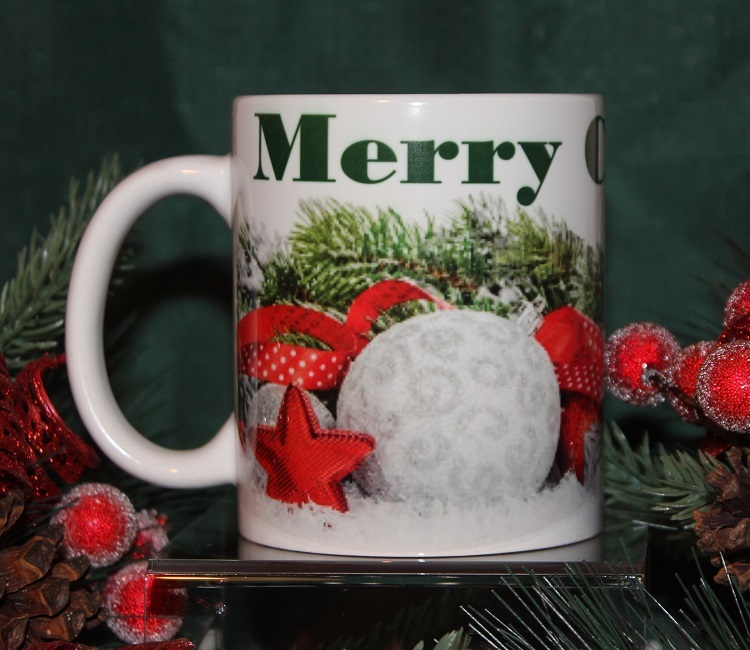 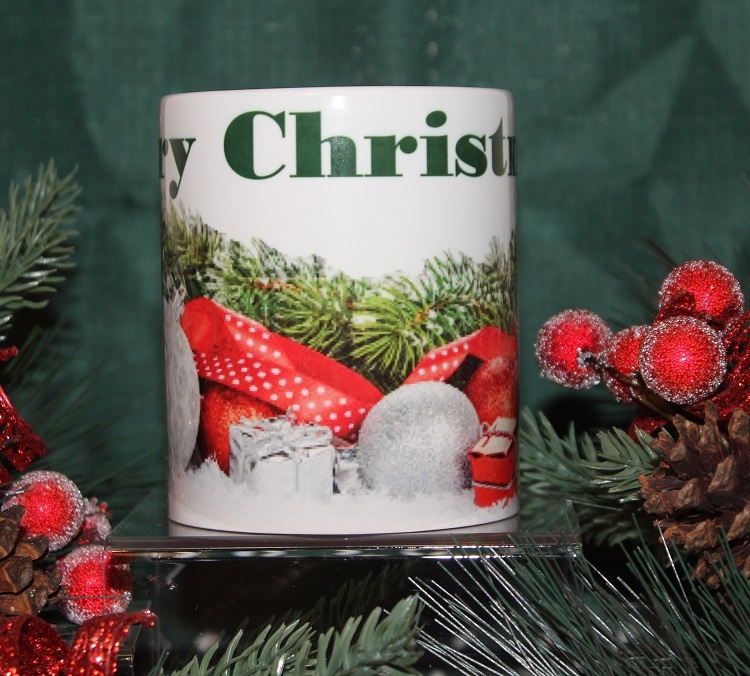 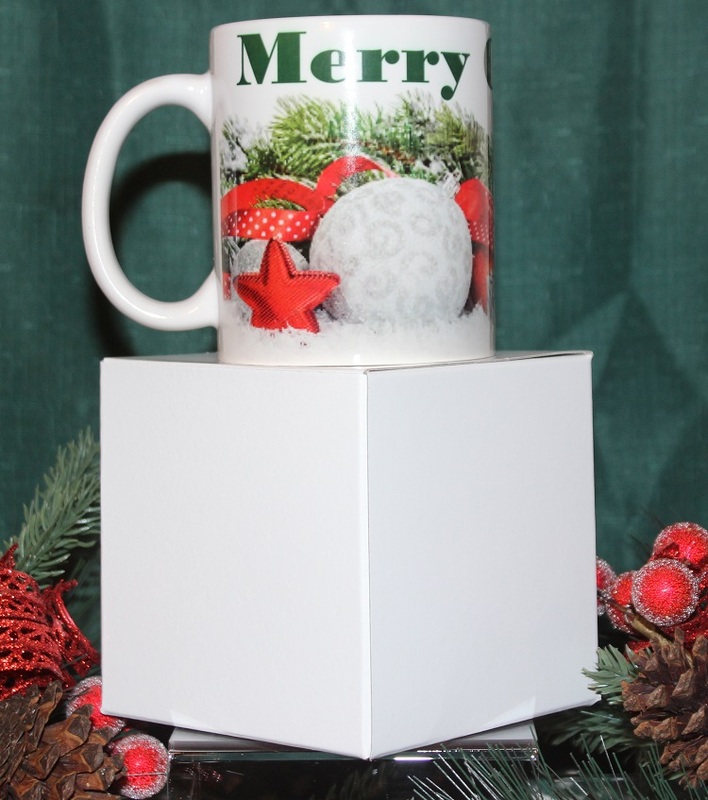 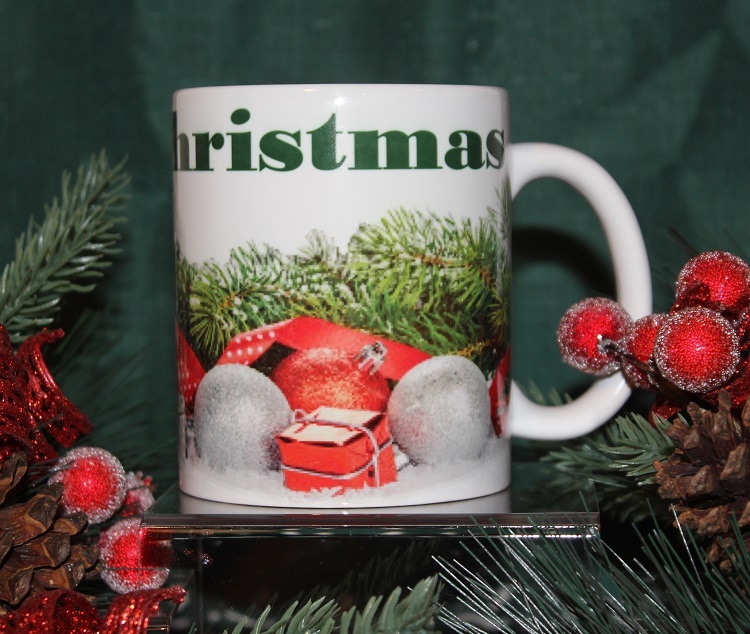 Enjoy your favorite hot chocolate or morning coffee in this beautiful mug with evergreens, red ribbons and silver ornaments from our Premier Line of Full Wrap Christmas Mugs. 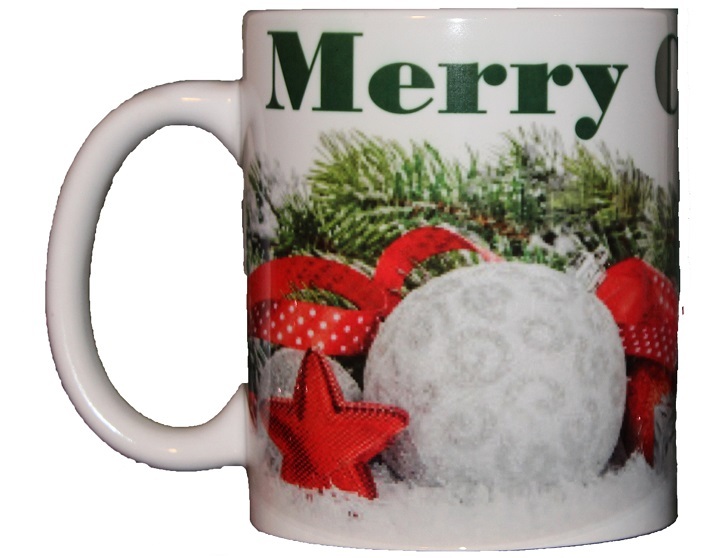 This mug holds a full 11 ounces and is imprinted with a full wrap design, covering the entire mug from top to bottom. 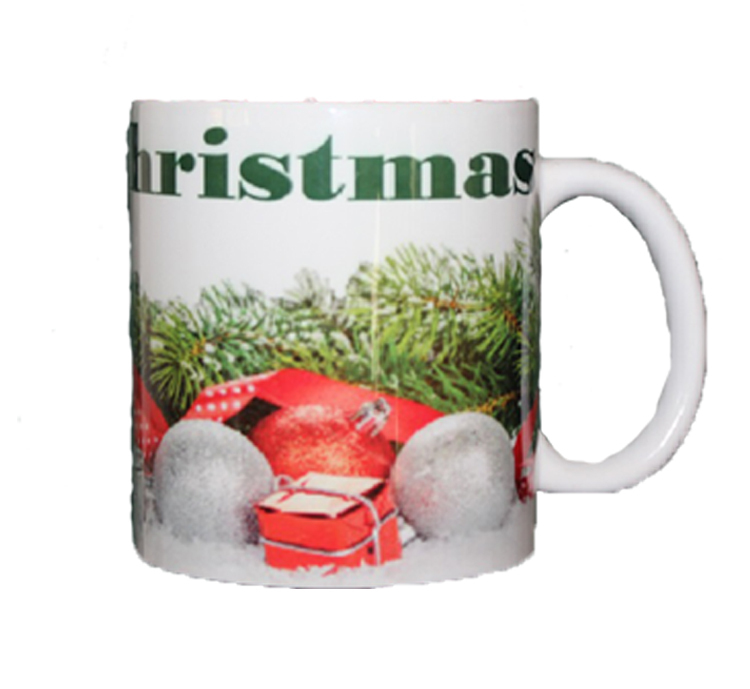 Sublimated imprint makes the mug microwave and dishwasher (top shelf) safe. 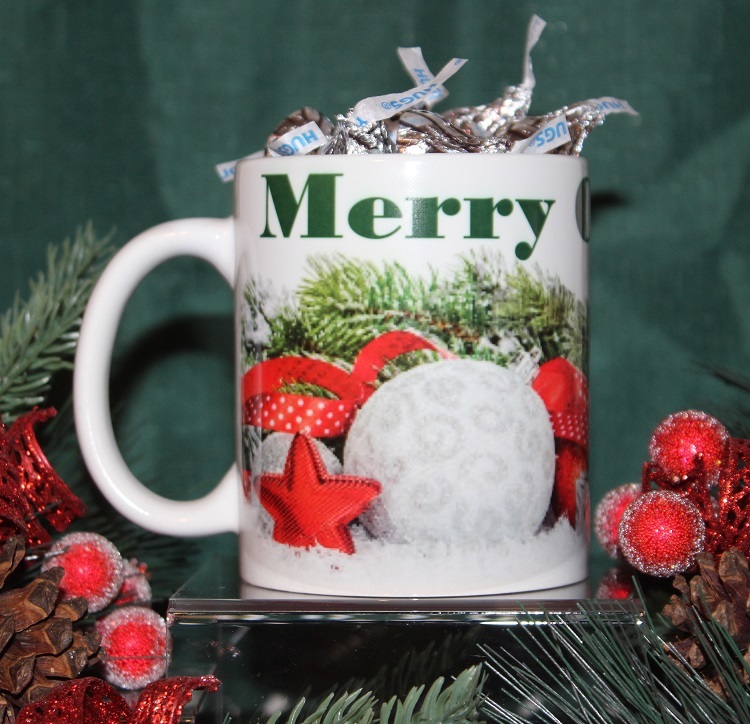 Filled with a generous helping of Hershey's Kisses in a White Gift Box. 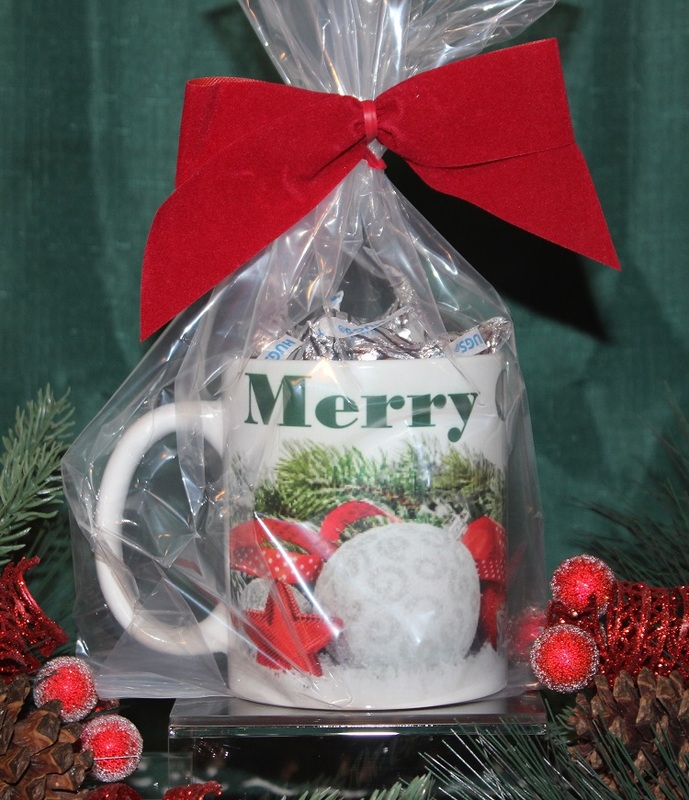 Filled with a generous helping of Hershey's Kisses wrapped in a clear Gift Bag tied with a Red Bow. 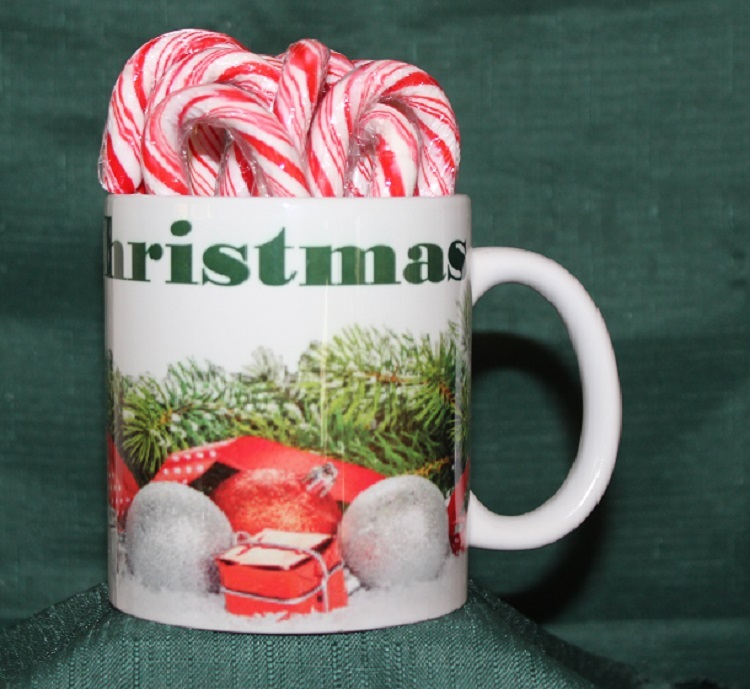 Filled with a dozen candy canes wrapped in a clear Gift Bag tied with a Red Bow. 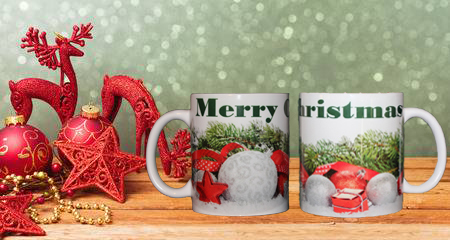 Mugs imprint and ship within 24 hours of order confirmation.